Today we’re running a number of items that include higher end optics which we picked up from a lonely warehouse to bring them to you at Camofire prices. Each item has been inspected and the glass and optics are in primo, mint, new condition. A SELECT FEW of them may have been on display and may be missing a lens cap, so we wanted to disclose that. Watch for some deals today and in the coming week. We’ll try to pre publish what is coming up so you can plan for them. The Zeiss Diascope 65T FL Straight spotting scope is an amazing spotting scope, particularly if you’re a weight conscious hunter that demands top performance and durability. The list of features goes on and on so suffice it to say that this is one scope you’re not going to have any regrets picking up, especially when you’re 6 miles in on a backpack hunt. We’ve teamed it up with an eyepiece that will work on the Diascope 65 and the 85 in case you happen to upgrade or if you already have the 85. Go light and see game through a crystal clear lens in the Diascope 65 T FL from Zeiss. 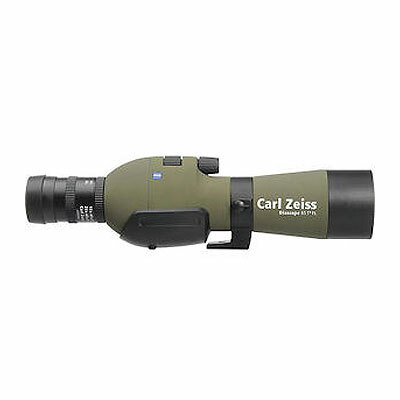 Got something to say about the ZEISS DIASCOPE 65 T FL STRAIGHT GREEN WITH EYEPIECE ? Tell the world by commenting below. Do yall ever get 10×50 out of the burris signatures? Ryan – 10×50’s are coming in early July…. Did I miss the Swarovski’s optics? They arrived a little late – around 7pm MST. Great deals so far. Are there going to be any other Swarovski SLCs or any other high end 10x4x binoulars? Not today. 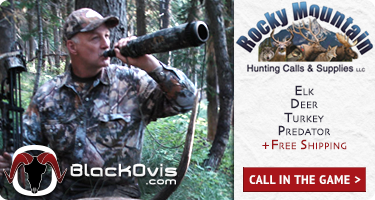 We’ve got some 10×42 SLC’s that we’ll feature on a day next week and for the rifle hunters out there we have 4 different Swarovski rifle scopes that we’ll offer on one day. Looking like Wed might be the day. We’ll announce it on Monday with a list of what’s to come so you will know. We realize buying a rifle scope is a little less spur of the moment. Damn missed this sale, worked 16 hrs that day. Hopefully i’ll get another shot. I am wondering if we are likely to see the ZEISS DIASCOPE 65 T FL STRAIGHT GREEN WITH EYEPIECE back in the line up any time soon? Or if you guys by chance, have one kicking around your warehouse? I think I am in love and at that price, I am a buyer for sure!